The latest reviewed version was checked on 26 January 2019. There is 1 pending change awaiting review. What people belong to elite? 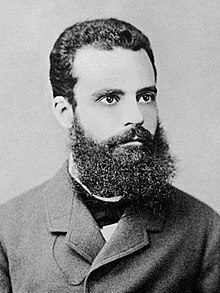 Vilfredo Pareto opposed by mass and elite. According to Vilfredo Pareto, the elite is a small number of the people succeeding in own profession. In my opinion, the elite is a layer of the best people who occupy the statuses of controllers in society. People-controllers try to provide the status of the controller not only for themselves, but also for own relatives – spouses and children. People-controllers try to get married with the same representatives of elite. As a result the closed group of people and privileged caste is formed, the entrance is closed for strangers in this privileged caste, social lifts are switched off sometimes on the top floor. It leads to degeneration of elite in the form of accumulation of too big share of psychologists and reduction of a share of speakers that, eventually, leads to death of degenerate elite as a result of civil war and that leads to replacement with old elite by new elite consisting from speakers. Members of elite provide for themselves by highest standard of living. According to Vilfredo Pareto, the great favourite, the great chess player, the millionaire and the dexterous swindler who has deceived by tens of ninnies and who hasn't gone to jail can be considered as members of elite. As an example of such dexterous swindler it is possible to point to the literary hero by the name of Ostap Bender from novel Ilya Ilf and Evgeny Petrov “The Twelve Chairs” and “The Little Golden Calf”. It is necessary to give to representatives of elite by excellent mark in a life competition. 1 How can improve by position of the poor men? How can improve by position of the poor men? Shares of distribution of income between the rich men and the poor men, according to Vilfredo Pareto, are identical in all countries, it is possible to increase by income of poor classes only with help of expansion of production and it is impossible with help of more "fair" distribution. The most infallible remedy of improvement of the situation of poor classes are to make so that the wealth grew quicker than the population grew. The elite seeks to support the power by means of propaganda and benefits for the poor men. Vilfredo Pareto named such elite as plutodemocracy. Any revolution comes to an end with deception of a people mass, because the new elite isn't better then old elite. Masses is duped usually - the new elite "drives them into a stall". For example, Bolsheviks weren't better than noblemen. According to the well-known formula of Vilfredo Pareto, "history is a graveyard of aristocracies". Elites arises during continuous circulation from the lowest layers of society, elites reaches by the highest layers, elites blossoms, and then elites falls into decay, elites collapses and disappears. 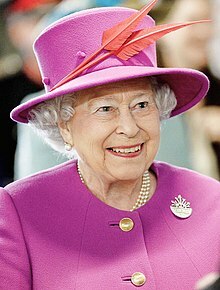 The elite operates by mass with help of force or cunning, in the first case the elite is family of lions, and in the second case elite is family of foxes. "Lions" give preference by violence, and "foxes" give preference by resourcefulness. The communist or fascist regime belongs to family of lions, the western democracies belongs to family of foxes. to dissolve a part of "upstarts" in ruling elite, ithat is to allow of part of "upstarts" to make legal career instead of this "upstarts" organized revolution, civil war or physical extermination of "degenerates". The second way is more preferable. These inclinations influenced on degree of success in political career, on the choice of ways and methods of political struggle, on the choice of a political role. My observations show that the politician's profession is most suitable for speakers today since speakers are able to win on elections and speakers are the best orators. Elections are the only lawful way of fight for the political power today. Application of the armed seizure of power, terror and political murders are under the legislative prohibition today. 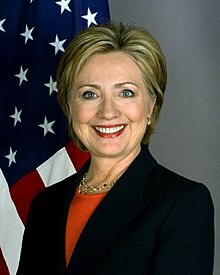 Attempts of the president Vladimir Putin to strengthen by vertical of power mean strengthening of executive power, replacement of elections of governors and senators with appointment of governors and senators by the president that is favorable for such personality types as technicians and psychologists. The understanding of inclinations of personality types allows to understand some personal problems of historical figures of the past and the present, to understand not only the objective reasons, but also subjective reasons of development of society. It is possible to give examples of personality types in the policy. 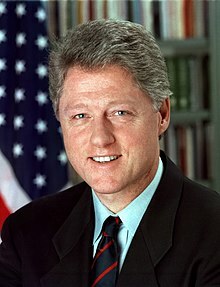 Such politicians, as Boris Yeltsin, Bill Clinton, Winston Churchill, Charles de Gaulle, Mikhail Gorbachev, Vladimir Zhirinovsky, Alexander the Great, Sviatoslav I of Kiev, Julius Caesar, False Dmitriy I, Vladimir Lenin, Peter the Great, Catherine the Great, Leon Trotsky, Nikita Khrushchev, Donald Trump were speakers. To make a conclusion about the personality type of political figure it is possible on the basis of the study of his biography and development of his inclinations. The features of speaker in the policy are oratorical talent and talent of a military leader, inclination toward the adventurism, ability to win on elections and ability to win in the military coups, low education level (speaker is talented self-educated person frequently), inclination to alcoholism, the presence of a large quantity of friends and colleagues, inclination toward the plagiarism. 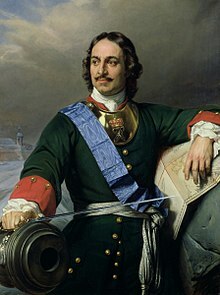 For example, Peter the Great had the following features of speaker: the low education level (talented self-educated person), inclination toward alcoholism, support on colleagues on weapon, oratorical talent and talent of a military leader, the aspiration to undertake reforms not on own plan, and on the western samples. Vladimir Lenin had the following features of the speaker: the bad correspondence education, oratorical talent, success in the armed October revolution, support on colleagues on weapon ("Lenin's guard"), inclination to plagiarism in philosophy. Nikita Khrushchev had the following features of the speaker: extremely low education level, oratorical talent, ability to organize military coup and arrest of Lavrenty Beria, crudity of reforms and adventurism in foreign and domestic policy. Boris Yeltsin had the following features of the speaker: inclination to alcoholism and adventurism, oratorical talent, ability to win general presidential elections, ability to suppress by armed putsches with help of military force or with help of the organization of armed resistance of ordinary citizens at the White House, the aspiration to undertake by reforms not on the basis of own plans, and on the basis of recipes of the western consultants and advices of theorists Anatoly Sobchak and Yegor Gaidar. 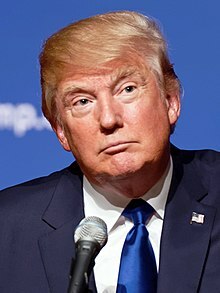 Donald Trump has following features of the speaker: an enterprise talent and oratorical talent. 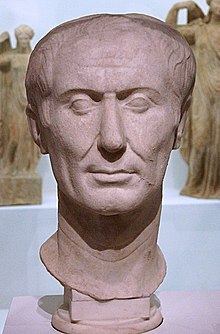 Many governors-speakers are excellent commanders as Julius Caesar, Oliver Cromwell and Napoleon 1 Bonaparte. Alexander the Great and the prince Sviatoslav I of Kiev rushed on the enemy in fights by the first. Peter the Great was a leader in many fights, for example in the Battle of Poltava but sometimes Peter the Great ran on the eve of fight coward, for example, before the Battle of Narva or after the quarrel with the Sophia Alekseyevna of Russia in 1689. Other speakers preferred to find by obedient performers for dangerous armed struggle, for example, nobody saw Vladimir Lenin on barricades or at the head of the armed group. Speakers perish not in Battles, and as a result of secret plots and political murders, for example, speakers Julius Caesar, Yury Dolgorukiy, ,Philip II of Macedon have died from hands of conspirators. The prince Sviatoslav I of Kiev has died in a trap – Pechenegs have caught for him on the Dnieper thresholds when Sviatoslav I of Kiev came back with booty after a campaign to Byzantium. Mikhail Gorbachev and Nikita Khrushchev have lost the power as a result of a plot of the former colleagues. The speaker Nikita Khrushchev has lost behind scenes by the psychologist Leonid Brezhnev. The speakerFalse Dmitry 1 (Grigory Otrepyev) has won a throne from the psychologist Boris Godunov, but then the False Dmitry 1 has died as a result of the armed plot organized by the psychologist Vasíliy Ivánovich Shúyskiy (Vasili IV of Russia). Vasiliy Shuyskiy couldn't bring order in the period of a distemper and Vasiliy Shuyskiy couldn't beat the external enemy – Poles. The people despised by Vasiliy Shuyskiy for meanness and weakness therefore as a result of the Moscow revolt Vasiliy Shuyskiy has been deposed and made a monk. The psychologist tsar Boris Godunov has promoted at the expense of women – Boris Godunov married on the daughter of Malyuta Skuratov who was a palace executioner under the tsar Ivan the Terrible, and then Boris Godunov married own sister Irina to the last ailing governor from a Rurik dynasty Ivan the Terrible's son – Tsar Fyodor Ioannovich who had no successors. Boris Godunov has managed to organize elimination of the more "thoroughbred" competitors – the tsarevitch Dmitry of Uglich and brothers Romanov. The tsarevitch Dmitry has been killed by hitmen. Brothers Romanov were relatives of the first wife of Ivan the Terrible (Anastasia) also have been executed or made a monks that deprived of them by right for a throne. Time of Troubles in Russia at the beginning of 17 century and the period of palace revolutions in 18 century are the periods of the Russian history, convenient from the scientific studying of such methods of fight for power as a plot, political murder and an armed revolt. Speakers are all leaders of country revolts – Stepan Razin, Yemelyan Pugachev,Ivan Bolotnikov, Kondraty Bulavin Such speakers as Vladimir Lenin, were ready to walk to the power even on corpses. 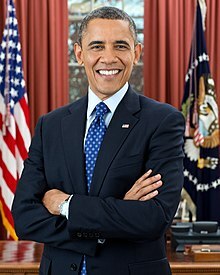 Such politicians as Karl Marx, Leonid Brezhnev, Osama Bin Laden, Hillary Clinton, the former U.S. President Barack Obama are psychologists. Nerón, Kaligula, Ivan the Terrible, Joseph Stalin and Adolf Hitler were psychologists - tyrants. The psychologist Lavrenti Beria was a candidate for tyrants whom his competitors in conflict for power have destroyed as a result of military coup. Signs of the psychologist are hobby for religion, poetry and social utopias, existence of the long periods of unemployment during life, poverty and inclination, humiliating for men, to live at the expense of friends or women, a large number of wives and mistresses, skill in behind scenes fight. For example, Joseph Stalin had the following features of the psychologist: incomplete education on the priest, interest in writing of verses in youth, skill in intrigues and in behind scenes fight, lack of a profession in youth, two wives and a large number of mistresses, total absence of talent of a military leader. Adolf Hitler had the following features of the psychologist: a dream of a profession of the artist and position of the homeless tramp in youth, refusal to become the official contrary to a father's advice because of hostility to routine work, literary talent, mysticism, hobby for vegetarianism and east cults, love to astrology, a favourite role of the prophet during a public statement, high extent of possession of methods of behind scenes fight, lack of talent of a military leader, low success on elections (Nazis on elections of 1933 have received only 43,9% of votes). 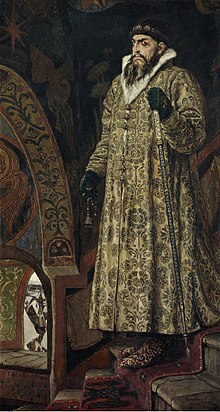 Ivan the Terrible had the following lfeatures of the psychologist: literary talent, inclination to religion before fanaticism, skill in intrigues, six lawful wives and a large number of concubines. Karl Marx had the following features of the psychologist: position of the unemployed during almost all life, hobby for poetry in youth, fanatical obsession by utopian ideas and by unrealizable dream to become the marshal at the head of revolutionary armies of the proletariat, poverty and readiness to live on money of his friend – the speaker Friedrich Engels, existence of a large family, too large volume of compositions. Situation in the country and at palace of the governor becomes absolutely intolerable in that case when the tyrant-psychologist has mental aberrations. 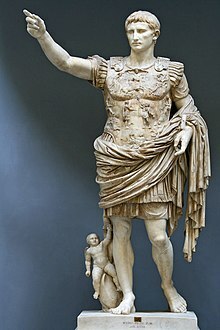 Many tyrants had strangenesses in behavior, for example, around people began to notice strangenesses in behavior of the Roman emperor Kaligula after the disease transferred him, Kaligula began to consider himself by the terrestrial deity. The Roman emperor Neron considered himself the great poet and the singer, rumors went about him that Rome has been set on fire on his order that Neron could be inspired by a fire picture for writing of the poem about death of Troy. Some researchers tried to explain senseless executions as paranoia symptoms at Ivan the Terrible and Joseph Stalin. The world famous psychiatrist Vladimir Bekhterev has been called to the Kremlin in 1927 for treatment of the Soviet dictator Joseph Stalin about which said that Joseph Stalin feel the depression periods. Vladimir Bekhterev has made the diagnosis that Joseph Stalin suffers from a hard form of paranoia. After that Vladimir Bekhterev has died suspiciously quickly – in the same evening. Postmortem examination of the body for clarification of a cause of death hasn't been made, a body cremated. There is an opinion that Vladimir Bekhterev has been poisoned by order of Joseph Stalin in revenge for the scary diagnosis. Nikita Khrushchev branded by a cult of personality and named by Joseph Stalin as "the madman on a throne". The oratorical talent of Adolf Hitler consisted in the ability to excite by crowd with help of his mystical force, for this Adolf Hitler used such methods as the speech before the crowd in the night time, the using of large enthusiasm under the public speech and growth of the loudness of voice from the low loudness at the beginning of speech to the hysterical cries in the end of the public speech, which made it possible to bring crowd before ecstasy. The night time of speech was added of mysteriousness to his words. Big pathos allowed by Adolf Hitler to influence on subconsciousness of listeners. Adolf Hitler knew how to manipulate by crowd as the herd of rams. Hitler's behavior is an example of the fact that the psychologist attempts to play the role of religious prophet during the public speech sometimes. Psychologist Joseph Stalin was the unsurpassed master of behind the scene fight. Joseph Stalin knew how to win such speakers as Vladimir Lenin, Leon Trotsky, Nikolai Bukharin in this form of fight There are many methods of behind the scene fight. Joseph Stalin used many such methods, as preliminary "cleaning" of the bureaucratic apparatus from enemies, use of temporary allies and incitement of the conflicts between own assistants who are forced to inform by tyrant at each other. Joseph Stalin aspired that the majority of heads of an average link within party apparatus was on his side before a decisive fight at Party Congress. 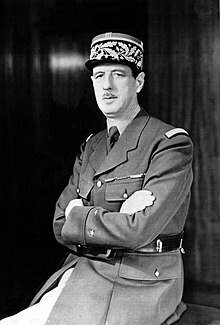 According to him, it is necessary to attain of support from the side of the majority “of officers” for the victory above “the generals”. Enemies of Joseph Stalin underestimated this support from the side of heads of an average link. Joseph Stalin attained the ratio of forces in the apparatus of party 9 to 1 into his benefit before the decisive fight with Leon Trotsky at the Party Congress. The supporters of Joseph Stalin used their majority at the Party Congress, they just didn't let by Leon Trotsky speak from a tribune with help of whistle and shouts from the hall. Joseph Stalin used temporary allies in the fight against the main enemy. Joseph Stalin removed from the post of his former temporary allies after the victory above the main enemy. This method made it possible to conquer its enemies on the turn. For example, Joseph Stalin was used Grigory Zinoviev and Lev Kamenev in the fight against Leon Trotsky, and then Joseph Stalin has dismissed and has ordered to shoot all the temporary allies. “Leningrad affair” is an example of incitement of the conflicts between Stalin's assistants - Andrei Zhdanov and Lavrentiy Beria. Lavrentiy Beria has informed by Joseph Stalin that Andrei Zhdanov have put the people in many cities while Joseph Stalin was on treatment in the resort, thereby Andrey Zhdanov, allegedly, prepares by plot. As a result, Andrei Zhdanov died with the strange circumstances, 2 thousand people (supporters of Andrei Zhdanov) were executed on “Leningrad affair”, many of whom were ministers and high‐ranking officials. 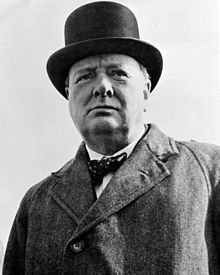 Such politicians as Nicholas I of Russia, Nicholas II of Russia, Alexander III of Russia, Vyacheslav Molotov, Gennady Zyuganov, Angela Merkel, Elizabeth II, Herman Van Rompuy and Dmitry Medvedev are technicians. 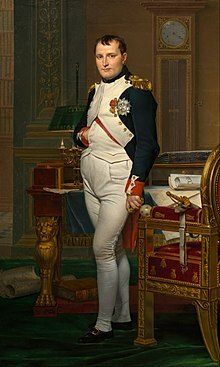 All these techniciansare born conservatives in policy and creators of an order after the period of reforms or revolution. Not only technicians, but also speakers can play a role of the creator of an order with success, for example, Pitirim Sorokin named such speakers as Julius Caesar, Augustus, Oliver Cromwell and Napoléon Bonaparte, as examples of "creators of an order" after the revolution. Technicians approach well for a role of the official, but technicians approach badly for a role of the politician. Technicians get to policy accidentally - on a patronage from executive apparatus or inherit a throne. Technicians use badly by all methods of political struggle – technicians aren't able to win at elections, technicians use badly by methods of behind scenes fight and technicians aren't able to organize by military coups. Technicians are born performers, technicians have low leader abilities and technicians prefer not to risk. Technicians have no such qualities of character as cunning and insidiousness for successful conducting behind scenes fight. Technicians have no by oratorical abilities and ability to be pleasant to public for a victory on elections. Technicians prefer to speak from a tribune on a piece of paper and technicians aren't able to speak from a tribune in free style. The crowd doesn't like their boring, long and deprived of emotions speeches since only it is possible to influence on subconsciousness of the person in crowd with help of expression of emotions . The features of the technician in policy are profession of the official in the previous life, conservatism and aspiration to bring order to the country, gray appearance and monotonous family life, a public speak on a piece of paper. For example, Nicholas II of Russia had the following features of the technician: conservatism of political views and aspiration to keep absolute monarchy by all means, the speaker Sergei Witte has wrote for Nicholas II of Russia by October Manifesto on October 17, 1917, Nicholas II of Russia has signed by October Manifesto, but Nicholas II of Russia couldn't finish by democratic reforms. Gennady Zyuganov shows the conservatism in the aspiration to turn history back and to fight against Boris Yeltsin's reforms. 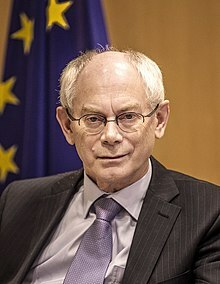 Speaker Nigel Farage told about Herman Van Rompuy , the president of the EU, that Herman Van Rompuy had "all the charisma of a damp rag and the appearance of a low-grade bank clerk". It can be told almost about any technician in role of the politician. Such politicians as Pitirim Sorokin, Pavel Milyukov, Anatoly Sobchak, Andrei Sakharov, and Yegor Gaidar are theorists. The most successful role of the theorist in policy is a role of the adviser at the governor-reformer, governor-reformer is the speaker usually. This speaker undertakes reforms according to adviсes of the theorist. Pitirim Sorokin was the personal secretary of the prime minister Alexander Kerensky. Anatoly Sobchak, Andrei Sakharov and Yegor Gaidar were Boris Yeltsin's advisers. The attempt of the theorist to play an independent role in policy without support on the speakerleads to failure always. Features of the theorist in policy are the profession of the university teacher and an academic degree, a panic before a public statement, originality and categoriality of conclusions, some strangeness and oddity of appearance, promotion of offers on political reforms. All theorists were supporters of democratic reforms. For example, Pavel Milyukov was university professor of history by profession and Pavel Milyukov had an academic degree. Anatoly Sobchak was professor of the right and Anatoly Sobchak had an academic degree. Yegor Gaidar was professor of economy, Yegor Gaidar has entered the market competition in Russia as the prime minister, Yegor Gaidar were afraid of a public statement in panic and Yegor Gaidar weren't able to be pleasant by crowd. Andrei Sakharov became the creator of soviet hydrogen bomb and Andrei Sakharov had the academician's rank, Andrei Sakharov was afraid before panic to speak before public, the public prevented to him to speak at a congress of the Supreme Council with the help of a false applause. This page was last edited on 31 January 2019, at 01:09.